We won’t drown you in legal detail. We’ll quickly understand your business, your personal situation and your objectives. We’ll analyse what’s going on, tell you what the legal issues are and provide considered advice on the practical and commercial consequences. Why are we successful? Our lawyers understand the wider context and implications, not just their specific area of expertise and how that will affect you or your business. They understand how transactions work and can put the legal processes to work to solve your problem, or to persuade the people that need to be persuaded. When you are faced with life’s most important decisions we can help you make confident, informed choices. We do this by providing advice that is easy to understand. We provide a plan that moves you closer to your objectives, keeping you involved at every stage. We help businesses and those who own and run them. At our core, we are a business law firm. We offer advice to companies, partnerships and individuals. We are a top 200 law firm with more than 20 recommendations from the two main independent legal directories, Legal 500 and Chambers & Partners. We have built a strong reputation for providing high quality, results-focused advice across all key legal disciplines. We offer business advice to clients on commercial contracts, mergers and acquisitions, corporate restructuring, employment law, dispute resolution, finance, banking, professional practices, warehousing and logistics, transport, commercial property, planning, energy, renewables, minerals & mining, waste management, insolvency, licensing and academies. In addition, our thriving Private Client Services team provides insightful, considered advice to help individuals protect their wealth and resolve family matters. This includes wills, trusts and tax matters; sensitive advice on family and matrimonial issues such as pre-nuptials, divorce and the financial aspects of it; residential conveyancing; public notary and lasting powers of attorney. Our team also includes Chester’s only Court of Protection Panel Deputy. As well as operating on a regional and national level across the UK, we are a member of the International Advisory Group, an international network of more than 60 professional advisory firms. Wherever your business, financial or personal affairs take you, Aaron and Partners has the ability and the relationships to help. We aim to recruit and develop the best lawyers who are not just technically excellent in their areas of expertise, but who will make the effort to understand your business and objectives and work with you to achieve your goals. Integrated Advisory Group International (IAG), of which Aaron’s International is a member, was set up 25 years ago by medium-sized law and accounting firms around the world to give on-the-ground advice, support and assistance to the clients of member firms. Click here to visit our International page. We are required by the Solicitors Regulation Authority to publish information about our pricing in relation to certain services that we provide. This information can be found on the pages of our website that relate to the relevant services. If you are at all unhappy with the way we have dealt with your matter or with the bill, it is important to us that you tell us about it. We are committed to the highest levels of client service and if something goes wrong, we would like to know about it so that we can learn from it and further improve our standards. We regard all complaints very seriously and make every effort to resolve them speedily and effectively. If you are dissatisfied and wish to complain about our services please click here to view our complaints procedure and how to make a complaint. We at Aaron and Partners are committed to the Sustainable Palm Oil City project in Chester. 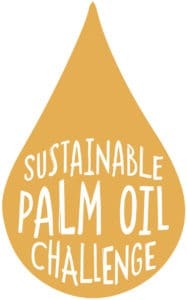 We are working with our suppliers to ensure that where palm oil is present in our cleaning supplies and food, it will be sourced from sustainable sources.